“Apple’s fortunes in China are slowly turning around, suggests Morgan Stanley, with a continuation of share growth for the iPhone user base in March taken as an indicator of better than expected results heading into Apple’s upcoming quarterly financial results,” Malcolm Owen reports for AppleInsider. 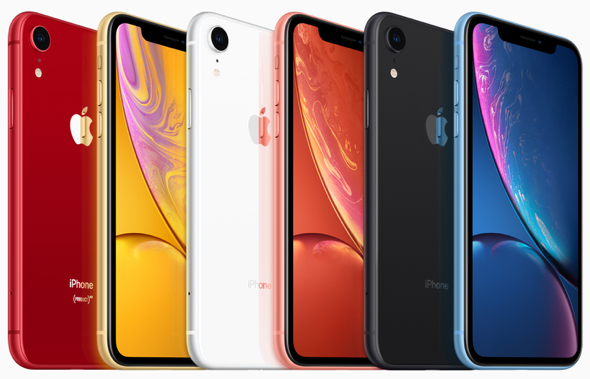 Apple’s A12 Bionic-powered iPhone XR comes in six new finishes: white, black, blue, yellow, coral and (PRODUCT)RED. MacDailyNews Take: Obviously, sticker price cuts can work wonders, especially in emerging markets. On that happy note: Interns, TTK! If Apple had lowered iPhone prices six months ago, shareholders wouldn’t have had to suffer such a share price collapse. Maybe Apple couldn’t figure it out, but there was an awful lot of beefing about high iPhone prices. I realize Apple can’t easily cave into pricing pressure but there is a lot of smartphone competition in the Chinese market and plenty of Chinese consumers who don’t show any love for U.S. products. A few analysts are still talking about falling iPhone sales, so I’m not sure if there actually is that much stabilization of iPhone sales. I think most of Wall Street has already given up on Apple in terms of gaining any ground in the smartphone market. We’ll just have to wait and see how the analysts play their guessing game of iPhone unit sales this quarter. Will big investors believe the fictional numbers without any solid proof. I don’t know and there’s nothing I can do about it. So which is it? Nationalism, competition or… high prices? Honestly I don’t even think Apple’s lineup is that great. These oversized phones (and the XR is GIGANTIC, esp with a case) are not at all attractive. Update the SE already Apple. The XR is the largest phone I’ve owned. I love the size…when using, but have to take it own of my pocket as soon as I sit down. Not a big deal as getting the phone away from my body as soon as I can is a priority. The weight on the other hand is silly. It’s a chunk. At times it’s unwieldy and has been a factor in drops…which have been entirely rare with all proceeding iPhs.